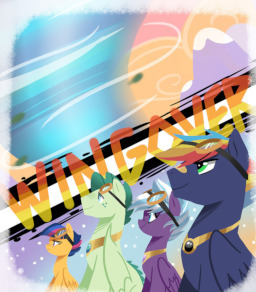 Rainbow Dash is a great flier, leader, friend and wife. It comes as a shock when being a mother proves far more difficult. Sometimes our mind finds a way to say what our lips cannot. 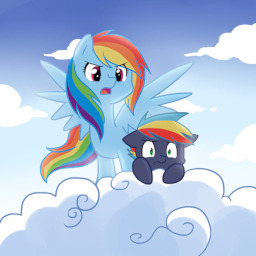 Prism Bolt thought that being Rainbow Dash's son was the most awesome thing ever. That is, until he tried to step out from under her impressive fame. 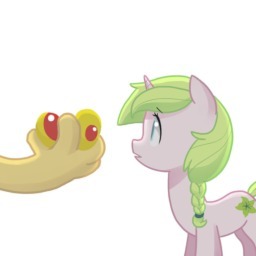 Pushed by Pinkie Pie, Sweetie Belle decides to get to know one of her classmates better. There is something about him that both infuriates and comforts her, however. Tornado Day approaches, and the most prideful pegasus in Ponyville has just been defeated by his own ego. Will he learn the most important lesson of being on a team in time to soar? 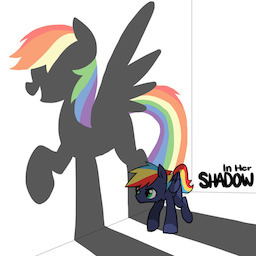 Shining Armor knows he cannot protect Twilight forever, so he does what anypony would do. He finds a replacement. 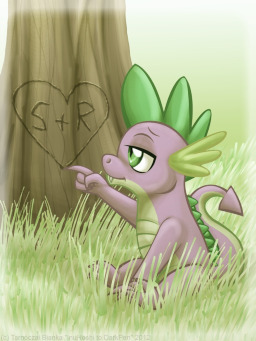 After the events of Ponyville Days, one resident spends their time thinking over how everything could have been avoided. Ambition and greed share a lot of similarities, including their tendency to feed off of themselves. 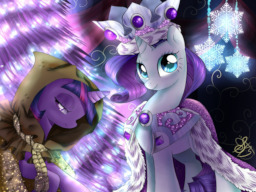 Her friends never understood why Clover was unshakably loyal to the spoiled Princess Platinum. The truth was far less complicated then they imagined. Dragons live a long time. After centuries, just what is important anymore? The body, the memory or the legacy? Impending death can put things in perspective, but such revelations rarely last. The strongest bonds are connected to blood, one way or another. 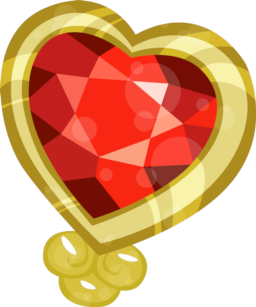 What if King Sombra recovered the Crystal Heart before the Mane 6 could get it to the center of the fair?